Lifecake is the perfect photo & video app for your baby bump, pregnancy pictures, baby milestones and childhood memories. 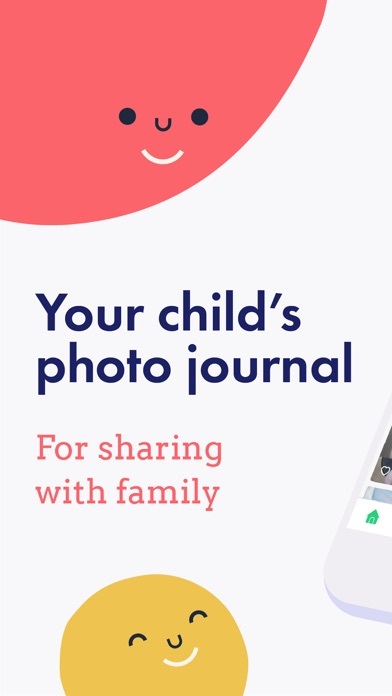 This is the photo & video journal for proud parents. With Lifecake, you can share your child’s journey with loved ones and bring the family closer together. Track your pregnancy with weekly baby bump photos, and record the important milestones to look back on later. How can you use Lifecake? 1. As a milestone photo app: record the magical moments along your family’s journey 2. As a pregnancy photo app: track your pregnancy pictures over time as your bump grows 3. 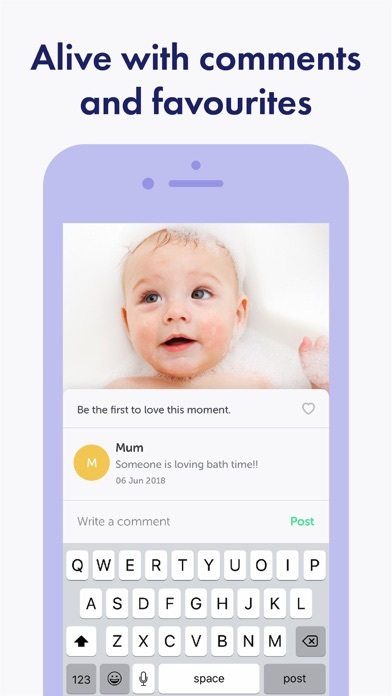 As a baby photo diary app: a photo per day, week, or month to follow your baby’s journey Here are some happy parents on The Baby Website: "Lifecake is definitely the best photo book app I have used." 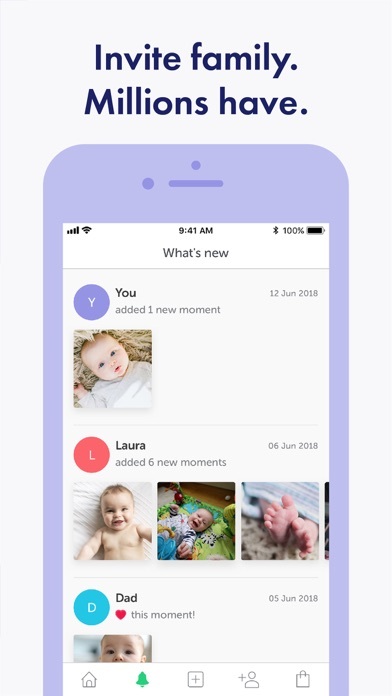 “I absolutely love this app and have recommended it to a few of my friends who already have children and a couple of my friends who are expecting too.” What can you expect from this photo & video app for parents and soon-to-be parents? • Nothing complicated. Just photos and videos on a beautiful timeline. • Simple, safe, and magically organised. Because parenting is busy enough. 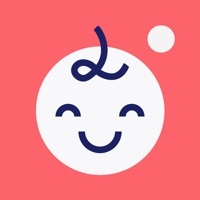 • Alive with comments, smiles and favourites. • Parents love it. Grandparents live for it. A private place just for family. • Order beautiful prints, calendars, photo books, and other stuff straight from the app! Generous for free users. Amazing for subscribers. • Enough free storage for tons of sharp photos and videos. 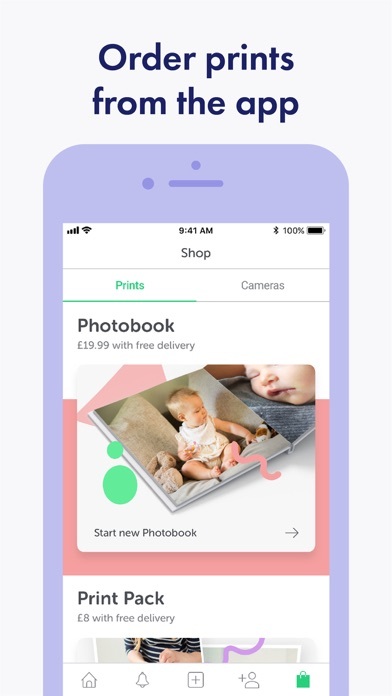 • Monthly or yearly VIP subscription removes storage cap • Monthly VIP subscription:* £9.99 / $10.99 / €10.99 • Or save 50% with an annual VIP subscription:* £59.99 / $64.99 / €69.99 Lifecake is the baby photo & video sharing app that keeps families together. Document your child’s journey, create photo books & more. Trusted by millions of families worldwide. Questions? Send us a note to @lifecake on Twitter or email support@lifecake.com Where’s the small print? Terms of service: https://www.lifecake.com/terms We’re nuts about privacy. Our lawyers’ wordy translation: https://www.lifecake.com/privacy ---------------- *The subscription renews every month or year unless auto-renew is turned off at least 24 hours before end of the current subscription period. Your iTunes account will automatically be charged within 24 hours prior to the end of the current period and you will be charged for one month or year at a time. You can turn off auto-renew at any time from your iTunes account settings. This is the best photo album/app. I have been using it for 5 years seamlessly. I love love it. I am scared of doing any update that’s literally how perfect it is. I downloaded this app 3-4 years ago after my son was born. It was great until around his 2nd birthday when the app no longer had “free” space left. I forgot about it for a while and just came back to it today. I realized I had a lot of duplicate pictures and videos so I cleaned it up and erased a lot of photos and videos but guess what? I’m still at 100% capacity even though I freed up tons of space so that I could add in some recent photos from the past couple of years to share with family...not sure why it won’t let me. Only thing I can guess is they want my money to continue to use their app. We love seeing our grandkids on Lifecake! Perfect for us as grandparents, such a treat when new photos are posted. We love it. We love this app! It’s easy for me and my family and friends to use. Instead of sending pictures of my son in different text messages to everyone, you simply upload and everyone sees it at once. Anyone can add to it, comment or like a photo. I also love that the newer, most recent photos are first and that it shows the month and date the picture was taken; so you see them chronologically. This is a simple and awesome app for sharing photos with loved ones! I actually like this app a lot. Even though you can do a very similar thing for free with shared albums in photos, I like the way lifecake lays things out much better. Here’s the rub... the price. $65/yr is absurd. When google and amazon give away storage like crazy, charging this much for a photo storage and sharing app is insane. Then, I receive a notification telling me the price is going up soon?!?!? What! If the cost was $20-25/year I would buy. I see the value in that. I’m deleting the app and my photos ASAP. We are able to see our granddaughter every day! They live out of town so it’s so fun to get the notice of a new picture. It doesn’t work, plain and simple. When you open the app to log in it wants to send you a magic link to confirm your email, ok that’s fine...get the email, click the link and it opens in safari and says “oops you need to use the same browser or built-in mail client for this to work”, not same DEVICE as they claim. I’m using the outlook app, I should have to use the native mail app. At this point I want in to my account so I can remove all the images of my family before they are hacked and my privacy is invaded. I’ll be looking for a new app. Thought being run by Canon they would work better but this app is just broken. Move on.